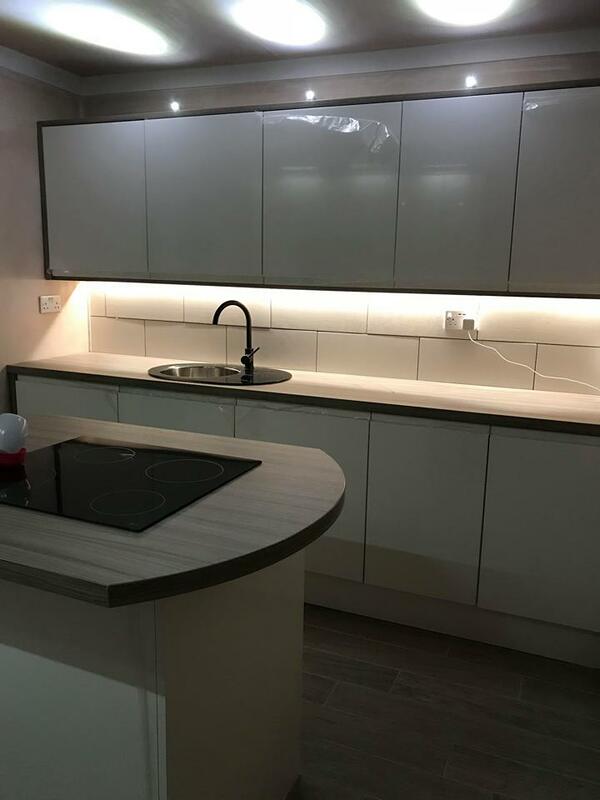 White Gloss Integra J Pull Doors & Matt Driftwood wrap around in 25mm Panels as well as matching 40mm Square Edge Worktops help finish this sleek modern design with a simple two tone pallet. 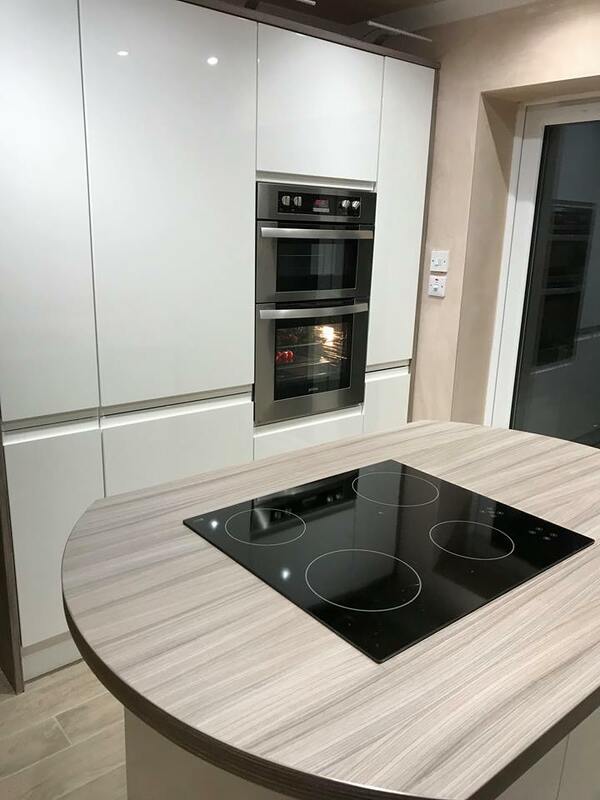 This kitchen was supply only to our client who has carried out the installation and finish perfectly. 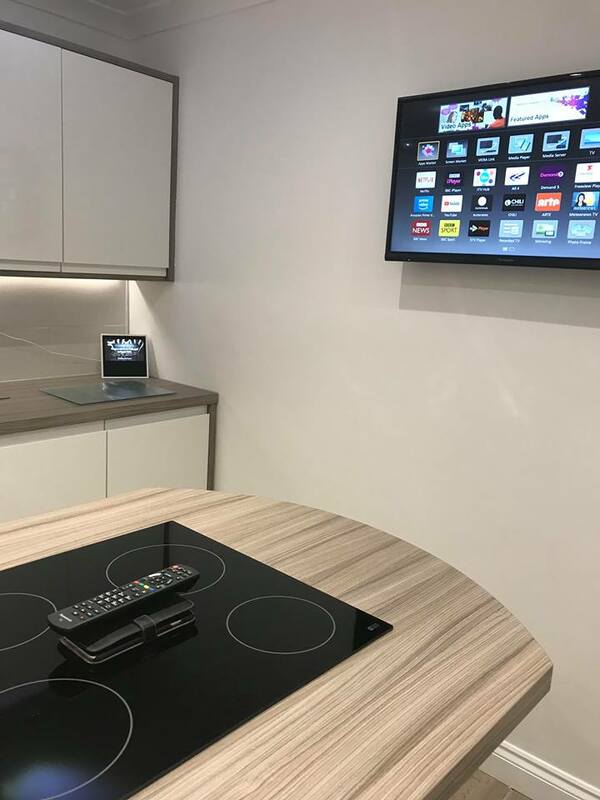 If you wish to find out more information about the products used or our supply only service then please contact us.